Located just a few minutes’ drive from the Clarion Oaks Golf Club, this hotel has a gym and an indoor swimming pool. Free Wi-Fi and free parking are available. 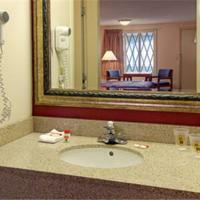 The rooms at the Holiday Inn Clarion have cable TV, a spacious work desk and a coffee maker. The Clarion’s gym is equipped with weights and cardiovascular equipment. The hotel also has a games room with table tennis. Cooks Forest State Park and the American Golf Hall of fame are a short driving distance from the Inn Clarion. 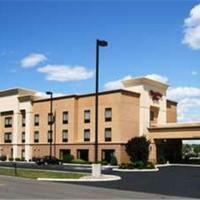 This Clarion motel features free Wi-Fi and spacious rooms with wood furnishing and carpeted floors. Mayfield Golf Course is 1 mile away. Bright rooms a Super 8 feature cable TV with movie channels, a seating area, and a work desk. Continental breakfast is served each morning and features hot coffee or tea with pastries. A 24-hour front desk with fax and photocopying services are available for guests as well as a seasonal outdoor pool. Shopping and dining are less than a mile from Super 8 – Clarion and Clarion University of Pennsylvania is 3 miles away.